Early educational experiences had by children in the years prior to school are key to later academic, social–emotional and health outcomes. This has been shown to be especially true for children who experience high levels of disadvantage as this formative period lays the foundation for positive learning trajectories. 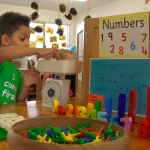 The Australian Early Development Census (AEDC) highlights the discrepancies between Aboriginal and non-Aboriginal children across the domains of development by the time they start school—particularly in the language and cognitive development domains. In a recent study conducted in collaboration with an Aboriginal Primary Health Care service, the impact of evidence-based early intervention on the Australian English language development of a vulnerable group of Aboriginal toddlers was investigated. These children had been identified as highly vulnerable due to their engagement with the foster care system. In this study, the evidence-based intervention (Abecedarian Approach Australia; 3a) had a significant impact on the children’s Australian English language development. Within the four-month intervention period, increases—almost double those expected—were observed in the children’s age-equivalent scores in Auditory Comprehension and Expressive Communication. A significant change in children’s joint attention—a precursor to language development—was also seen in the early stages of the intervention. Children were engaging in and relishing the learning experiences presented. In October 2016 I presented this research at the Australasian Journal of Early Childhood (AJEC) Research Symposium. Indigenous education and early intervention deserves greater research attention. How do we support learning in a complex environment while respecting the vital role of culture in children’s lives? I was nervous to talk to the success of the intervention as a non-Indigenous researcher. While highly aware of concerns regarding the loss of culture and ‘doing’ research to rather than with Aboriginal people, I cannot completely understand the ongoing and often damaging impact of earlier interventions on Aboriginal people and their communities. The Symposium turned out to be the ideal place to discuss this research. The audience were engaged, some were gently critical of the paper’s findings, highlighting the absence of appropriate tools to rigorously measure language development and the host of skills Aboriginal children have that aren’t recognised within a western-based education system (a shortcoming in Indigenous research); others were encouraged by the paper’s findings and wanted to know more about how they could incorporate the approach into the work they were engaged in with young Aboriginal children. Everyone contributed to the discussion respectfully. This made my experience a positive one that deepened my own knowledge and further inspired me to continue to pursue ways to close the gap between Aboriginal children and their non-Aboriginal peers in the years before school. Discussions at symposia like AJEC enable a continued focus on promoting the learning of Aboriginal children, in ways that are responsive to culture, community needs, and families’ views on what is important for their children to learn, while protecting and valuing culture and language. This requires ongoing attention to ensure all children begin school with the best possible chance for lifelong learning and success. Hurry—there are only four weeks remaining for you to submit your AJEC abstract. We encourage early childhood practitioners, academics, policy-makers and students to share their research at this popular symposium. Apply today. Shonkoff, J. P., & Phillips, D. A. (2000). From neurons to neighborhoods: The science of early childhood development. Washington, DC: Office of Educational Research and Improvement. Guthridge, S., Li, L., Silburn, S., Qin Li, S., McKenzie, L., & Lynch, J. (2016). Early influences on developmental outcomes among children, at age 5, in Australia’s Northern Territory. Early Childhood Research Quarterly, 35, 124–134. Brookes, I., & Tayler, C. (2016). Effects of an evidence-based intervention on the Australian English language development of a vulnerable group of young Aboriginal children. Australasian Journal of Early Childhood, 41(4), 4–15. Isabel Brookes is employed as a Research Fellow at the Melbourne Graduate School of Education, the University of Melbourne. Following completing a Master of Teaching (Early Childhood) through research, Isabel has worked on studies focused on supporting vulnerable children’s learning, early childhood quality improvement, pre-service teacher preparation, educator professional learning and evaluation. Isabel’s current work aims to promote the learning and development of children identified as at risk of poor educational outcomes through the use of evidence-based strategies in early childhood services. 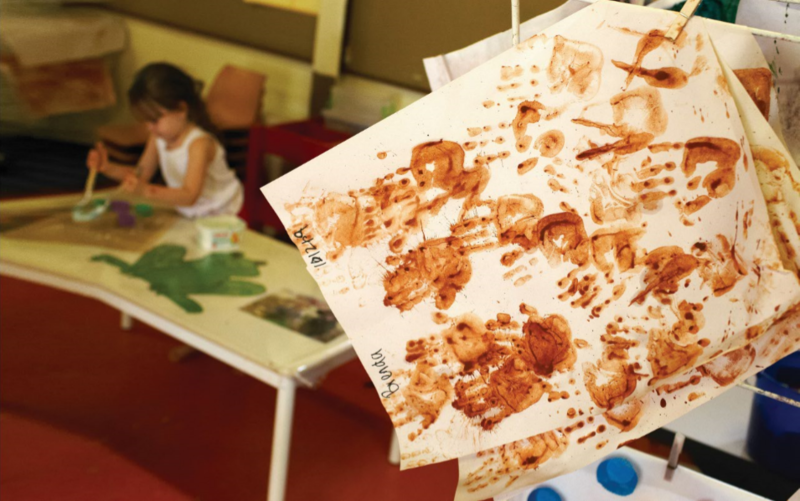 In 2015 Isabel relocated to Alice Springs to manage and implement research projects based in Aboriginal early childhood centres. Since this time, she has worked closely with Aboriginal organisations to address the educational needs of young children within the Alice Springs community.